When I was about 16, I played Emily in a production of Thornton Wilder's Our Town. If you're American, you probably know it from required reading at school. Maybe you're groaning right now. We performed in a church hall with the audience facing us on two sides. I remember a member of the audience approaching me after one performance to tell me they enjoyed it, but it was a bit heavy for a weeknight. 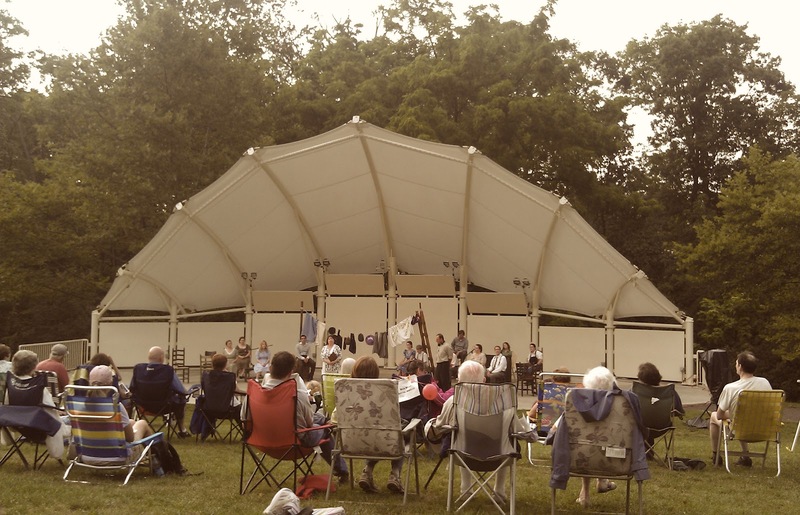 Last night we saw an open air production of Our Town in a nearby park. It was a great performance, and ever so much more poignant to be seeing it in rural/surburban America. Beneath the moon and the stars, with crickets and birds making a racket around us; it was almost like we were in the heart of Grover's Corner, especially when a train would pass us in the distance. This is exactly how Our Town should be experienced. This town, our town, is not unlike that in the play. It's fascinating to speak to my parents-in-law to discover how much this corner of the USA has developed over the past half-century. 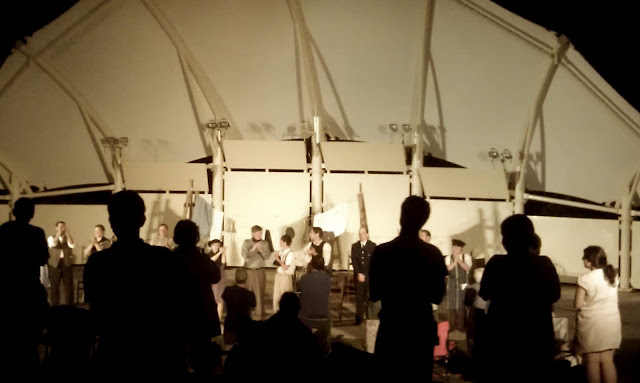 At the end, when the sun had set completely, and the cast took their bows, we felt uplifted and fortunate, and excited about our future. Do any human beings ever realize life while they live it?—every, every minute? Hello and Glad to meet you! I'm GLadley, a Brit living in the USA. I blog about the cultural quirks of being an Old World girl in the New World. Glad Blog is an Internations Top Expat Blog USA - Read my profile and Q&A!